Note: This post was originally published on Oct. 4, 2011 but was updated last June 6, 2018 to reflect the appearance of the latest GUI. The problem of inadvertently sending an attachment with the wrong email address, or attaching the wrong file, are sources of data leakage. Adding password protection allows you to provide an extra layer of security when making ad-hoc file transfers. 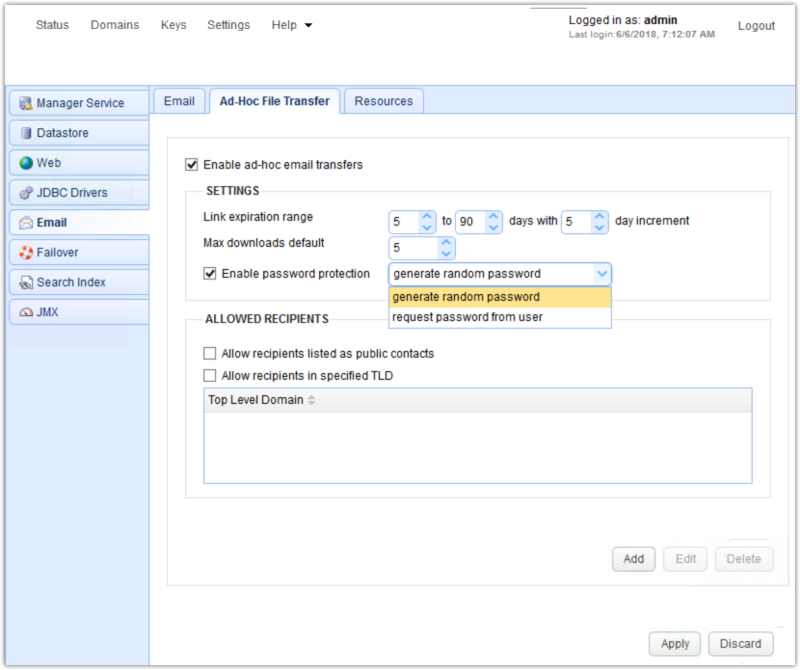 In this article we'll discuss the options within JSCAPE MFT Server to add password protection to your users' ad-hoc file transfers. 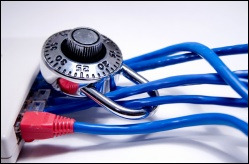 JSCAPE MFT Server offers two password protection options for ad-hoc file transfers. You can specify that the JSCAPE MFT Server generate a random password (default when enabled), or you can request that the recipient provide a password. This setting is system-wide, meaning that all subsequent ad-hoc file transfers will require the use of the selected password option. If you check the Enable password option you can select which type of password protection to apply to ad-hoc file transfers. If you select the random password option, then a system-generated password is included automatically in the email message body. If you select the request password from user option, then your users have two options available when they attempt to send a file attachment. The first option is to include a system-generated random password to the recipient, as shown below. The second option, user-defined password sent out-of-band, allows your users to specify the password that is sent to the recipient (see below), but is sent in a manner not associated with the original email. This option is a much more secure method, but requires that the recipient obtain the password from the out-of-band resource before they can download the file attachment(s). The out-of-band option allows your users to send the password they define to the recipient by any other means, such as a separate email, an SMS text message, etc. The following example illustrates an email notice sent to a recipient when the random password option was used when emailing attached files. The following example illustrates an email notice sent to a recipient when the out-of-band option was used when emailing attached files. It is up to your user to communicate the password to the recipient by other approved means. 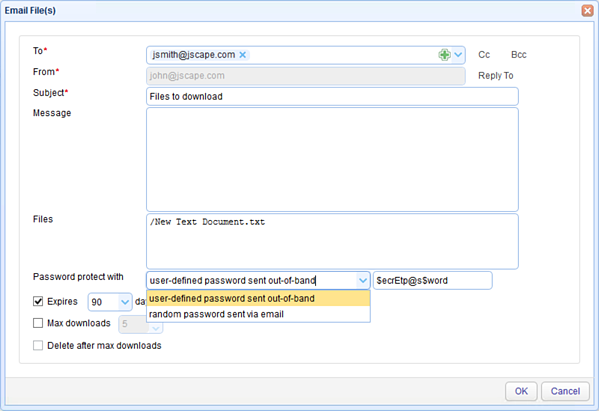 JSCAPE MFT Server allows you to define additional password protection for your ad-hoc email file transfers. Download a free, fully functional Starter Edition of JSCAPE MFT Server now.